NEW YORK (AP) — Allard Baird believes the New York Mets are ready to win now. “You need impact starting pitching and they have it here. That was one of the attractive things,” he said Thursday, a day after leaving the World Series champion Boston Red Sox to become an assistant general manager under new Mets GM Brodie Van Wagenen. 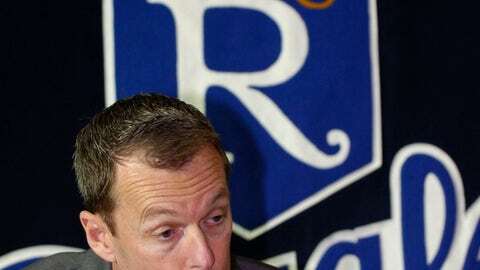 Baird was the Kansas City Royals’ general manager from June 2000 to May 2006 and spent the last 12 years with Boston, including the last three as senior vice president of player personnel. His title with the Mets is vice president and assistant general manager of scouting and player development. New York also hired Adam Guttridge as an assistant GM — he had been an analytics consultant to teams after spending five years working for the Milwaukee Brewers, the last year as manager of baseball research and development. John Ricco was the only assistant GM under Van Wagenen’s predecessor, Sandy Alderson. Ricco also is senior vice president for baseball operations and was one of Alderson’s trio of top executives along with special assistants J.P. Ricciardi and Omar Minaya. Ricciardi left three weeks ago. Baird’s offseason home had been in Miami, but he kept a New York apartment even before the Mets hired him and already has moved. He was surprised when the Mets hired Van Wagenen, who had represented players as the co-ahead of CAA Baseball. “The bells and whistles should never get to the scout. The bells and whistles do not have to get to the player development staff. The bells and whistles never have to get to the individual player,” he said. Notes: Infielder Dilson Herrera agreed to a minor league contract and will attend big league spring training. He made his big league debut with the Mets in 2014, was traded to Cincinnati in 2016 and hit .184 with five homers and 11 RBIs in 53 games with the Reds last season. … OF-1B Jordan Patterson was claimed off waivers by Cincinnati, three days after the Mets claimed Patterson from Colorado.